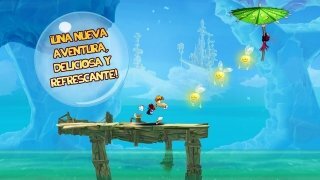 With 20 years behind him, the legendary Rayman character is back in a fun and addictive platform game. 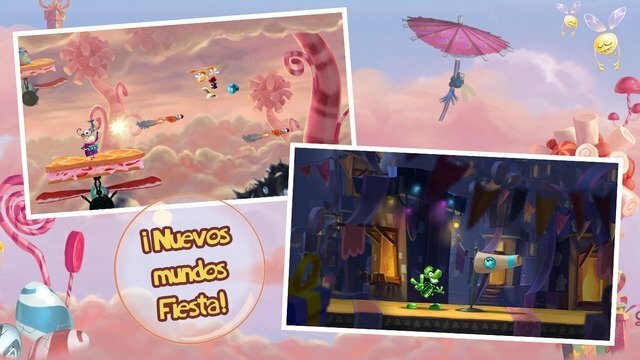 In Rayman Fiesta Run your target is quite simple: save the Teensies. For such purpose, you'll have to overcome each platform, running, jumping, flying and swimming, while you pick up all the Lums, which will allow you to get to the next level. 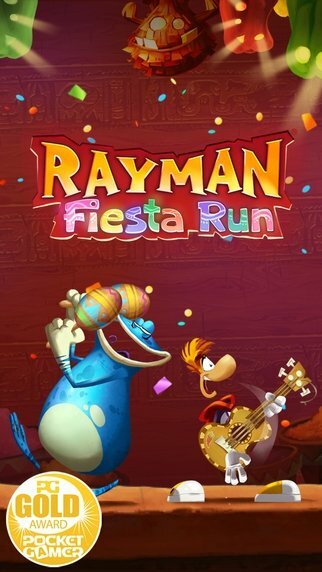 A worthy successor for Rayman Jungle Run. It's basically an improved version of Rayman Jungle Run, the first attempt made by Ubisoft in this genre, although this time around we swap the jungle for a much more entertaining scenario, full of cocktails, piñatas and plenty of parties. 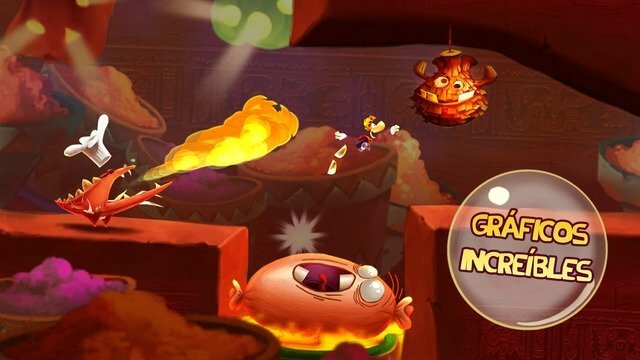 Despite lacking a solid story like in Rayman Origins or Rayman Legends, the game will get you hooked from the very first moment. 4 new worlds to be explored. 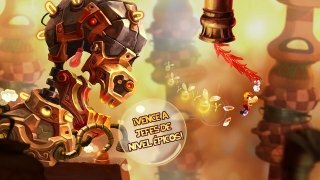 Jump from platform to platform collecting Lums. Fight against 3 final bosses. 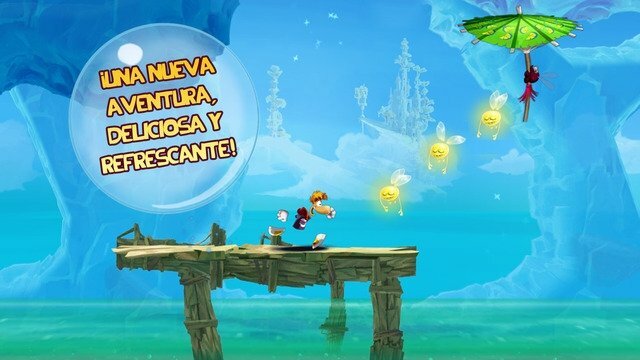 Make the most of the superpowers of this classic character to reach your objective and have fun to the max in this Rayman Fiesta Run full of incredible graphics.